"When every does just a little, an astounding amount of work gets done." What we do is simple: match creative talent with assignments that suit their skills. Always on the lookout for new talent, PRIME37 has built a resource of hundreds of writers. We carefully select our writers for skill, ability and expert knowledge , as well as style, wit and the ability to persuade. Our writers are waiting in our bullpen for you to tell them to take the mound. The people we work with come from all backgrounds and walks of life. The all have something in common though: a love of writing. We pride ourselves in our ability to know which of our many writers is qualified to take on your task. We review all of their assignments before we pass them on to you. Our professional editorial staff ensures quality and suitability for your application. Once we have worked together, you'll wonder why you ever went anywhere else for creative. 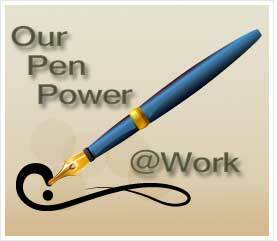 Proofread, edited professional copy that's concise, clear, keyword rich and relevant to your objective. Whether it be sales copy that boosts profits, or technical writing that enlightens, we deliver it all. Let's face it, on the web and in print, content is king. Without quality and relevance, your competitor will overrun you. If the written content on your site or publication doesn't engage your audience and carry a strong and motivating message, no amount of fancy graphics, gee-wiz widgets and animations will. Not only do people read what you present, they continuously process it with a critical eye. What you get from PRIME37 is content that is the stuff search engines thrive on. You'll get content that is original, structured to boost search engine rankings and increase sales. Best of all, you can rest assured knowing that one of the most essential pieces of your internet strategy is in expert hands. Could you afford to hire a professional writing staff? You don't have to with PRIME37 to help you produce quality relevant content on budget and on time. Our work adds value to yours. Finely crafted written content builds confidence in your publication and web site. Invest in quality that grows your profits.